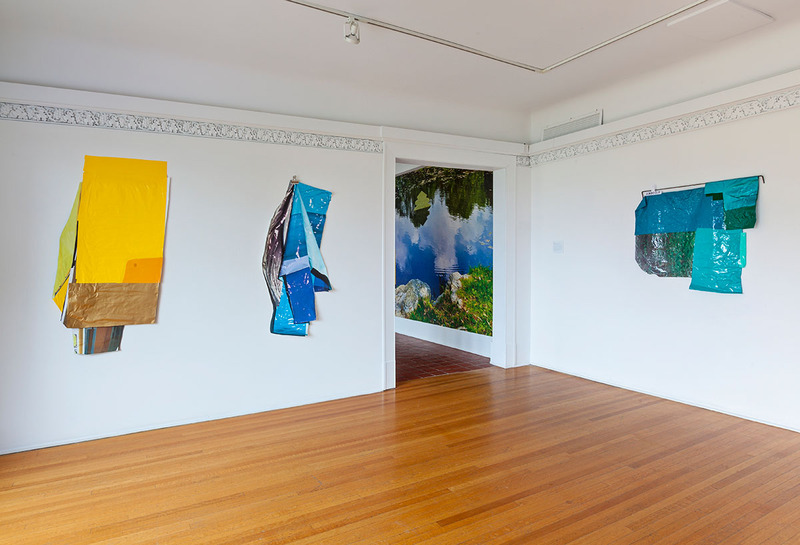 Kelly Jazvac: Installation views of PARK at the Oakville Galleries, 2013. Kelly Jazvac: Installation views of PARK at the Oakville Galleries, 2013. Kelly Jazvac: Installation views of PARK at the Oakville Galleries, 2013. Kelly Jazvac: Installation views of PARK at the Oakville Galleries, 2013. Few things are more desirable than the taboo, and Kelly Jazvac knows this well. 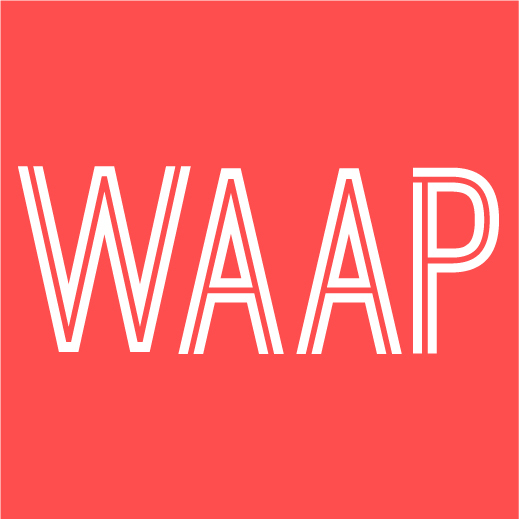 She uses materials that, in an era of green living and environmental consciousness, should be reviled. Taking leftover bits of vinyl, hangers, foam and sticks, she cobbles and strings these elements together until they are transformed. It’s a strange sight, these moments of beauty crafted out of the ugly leftovers of advertising signage and forgotten pieces of packaging. Jazvac’s work hinges largely on artistic jolie laide; it is entirely seductive in spite of itself. The refuse used within Jazvac’s sculptures undoubtedly raises questions about waste and ecology, but their appeal complicates these concerns. 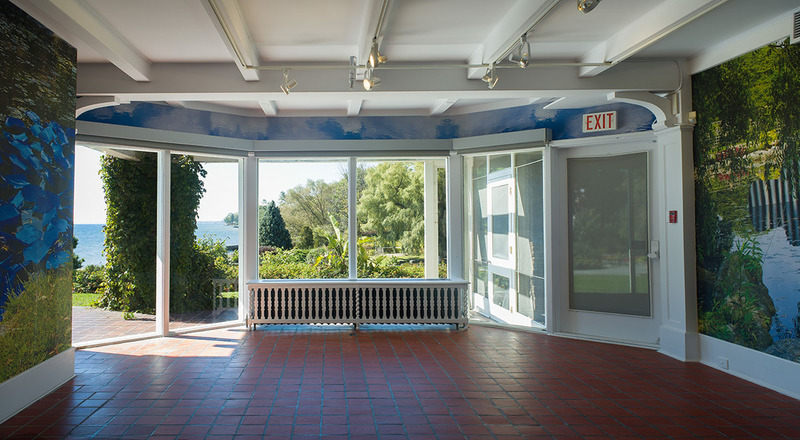 The exhibition’s namesake, PARK (2013), wraps the central, wood-paneled room of Gairloch Gardens in photographic wallpaper. Instead of repeating florals or discrete geometric patterns, though, the wallpaper depicts a pond’s edge in crisp detail. Dappled with floating plastic shapes, the pond seems festooned rather than littered. The result is undeniably beautiful, and naggingly familiar. Standing in its midst, the room recalls MoMA’s installation of Claude Monet’s Reflections of Clouds on the Water-Lily Pond (1920). Green vinyl might not have the romance of a water-lily pad, but it can reflect light all the same. 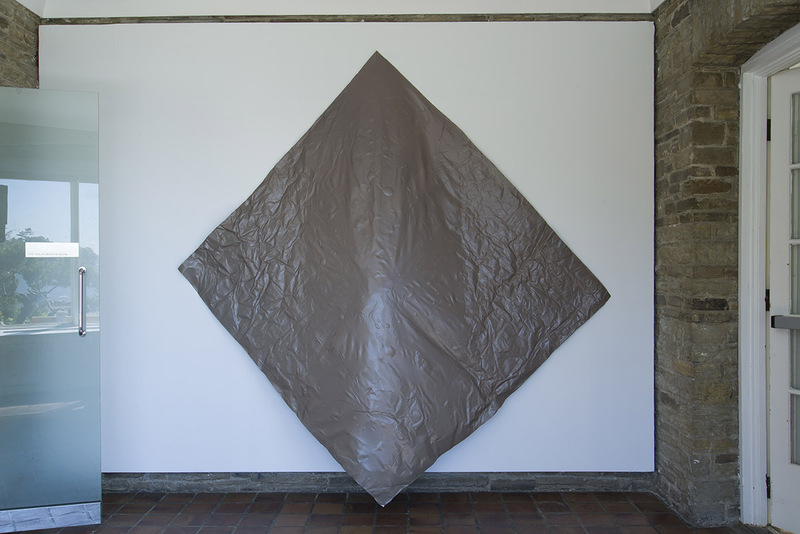 Much of the exhibition features Jazvac’s best-known work: sculptural arrangements of adhesive vinyl that suggest swaths of textured, bubbling paint, or utterly failing flags. Larger pieces dominate the exhibition, covering sections of the walls with their slick and rippling surfaces. In a strange way these vinyl sculptures, such as Fungible (2012), register as colour field paintings with heavy impasto. Again, as in the photographic wallpaper installation, Jazvac wheels viewers into art history with the most unexpected of materials. PARK charts a course through historical markers using the leftovers of contemporary culture. Not all of the works were statement-sized. Throughout the exhibition Jazvac inserted small, winking notes that could easily be overlooked: a corner of wallpaper here, a subtle video piece there. In most exhibitions these moments, where scale seems to be thrown aside and presence ignored, could fail. But within PARK they functioned differently. Purple (2012), for example, seemed entirely swamped by surrounding wall space. The effect was one of decompression, a slight whiff of the pathetic that snuck in and undercut the very function of a flag. 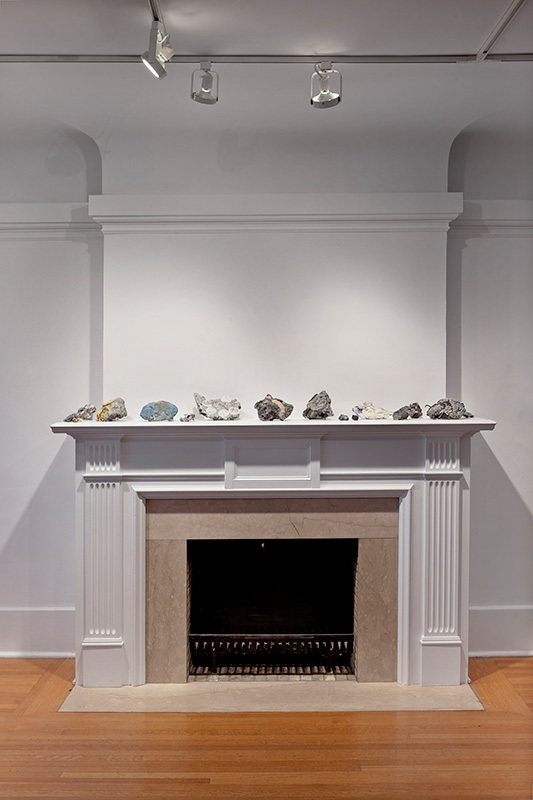 These varied strands of history, modernism and environmentalism coalesce within a row of Plastiglomerate samples displayed along a fireplace mantle within the gallery. Strangely creviced and molten, Plastiglomerate represents a newly proposed category of rock formation: an intermingling of melted plastics with natural minerals. Gathered in Kamilo Beach, Hawaii, the production of these rocks mirrors Jazvac’s own process. The rocks are formed out of rubbish and litter, but they become something beautiful. The earth has subsumed and accepted the garbage and castaways of a disposable society; like Jazvac, the earth can transform. Crucially, these objects indicate how increasingly meaningless binaries of culture and nature are becoming – human activity does not exist outside or apart from the earth. PARK takes viewers on a circuitous and unexpected path into both past and future. A creeping fear haunts the exhibition: that a point of no return has been reached. The earth has been irreparably altered. Modernism has an unshakable presence. As we edge around this tipping point, unaware of what awaits, Jazvac’s work suggests that easy delineations will serve us poorly. But, it also suggests a method for grappling with (what seems like) the inevitable. The oblique canonical references that surface within the show begin a quiet undoing. There may be hints of yesterday’s masterworks throughout, but they have been emptied out and replaced by the trappings of today. Perhaps it’s most effective to kill your darlings with kindness. It’s a loving burial, but a burial nonetheless.